On February 1, 2019, Piyush Goyal presented the Interim Union Budget for 2019 to 2020. 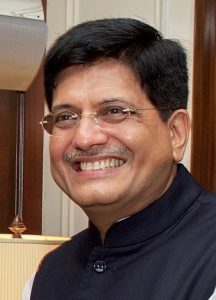 Piyush Goyal is an Indian politician who currently holds the position of Minister of Railways & Minister of Coal in the Government of India. From 2014 to 2017, he was the Minister of State (Independent Charge) for Power, Coal, New & Renewable Energy and Minister of Mines for 2016 to 2017. India’s Finance Minister Arun Jaitley couldn’t present the budget this year due to illness. As a result, in January India’s President Ram Nath Kovind announced Goyal as Interim Finance Minister and Minister of Corporate Affairs. He was also appointed to the position once before, in May of 2018. For the country, the Union Budget is not just a piece of paper showing expenses and revenue but rather a model depicting the economy and its growth prospects. The government plans yearlong how it will allocate its resources to different sectors and what return it will get from its investments. The budget this year could be seen bringing relief to millions of people as the Minister announced a full tax rebate for people with annual income of up to five lakh rupees (about $9,300 CAD). Those who make investments in funds and equities with a gross income up to 6.5 lakh rupees won’t be required to pay tax. The rental income threshold for Tax Deducted at Source (TDS) was raised to 2.4 lakh rupees from the previous 1.8 lakh. The TDS threshold on income from interest earned on deposits was raised as well.